For individuals or married couples who do not derive the majority of their income from an owned production agriculture operation. 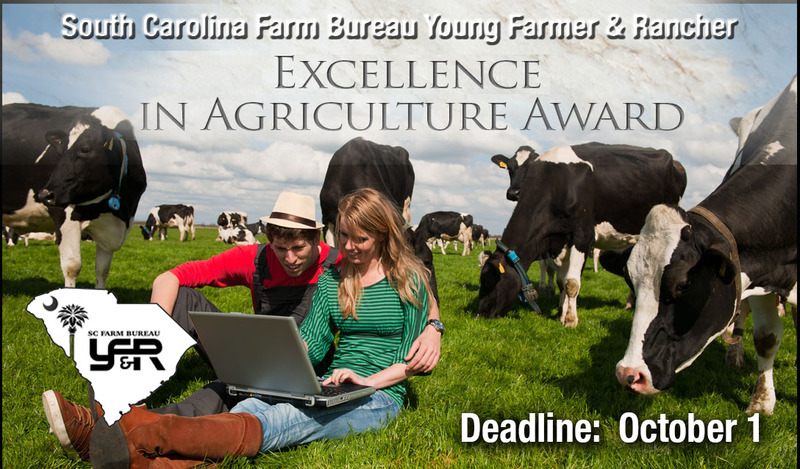 This award is great for part-time farmers or agriculturalists. The Excellence in Agriculture Award acknowledges members who are agricultural devotees, but do not earn the majority of their income from production agriculture. Competitors are evaluated on their understanding of agricultural issues, leadership experience and achievement. Participants will be judged on their involvement in agriculture, leadership ability, involvement and participation in Farm Bureau and other organizations (i.e. civic, service and community). The winner or winning couple will receive $7,000 towards the purchase of a new ATV. Each finalist will each receive $500 and a one-night stay at the SCFB Annual Convention in Myrtle Beach, SC and at the SCFB YF&R Conference in Charleston, SC. Excellence in Ag prizes are sponsored in part by the SC Farm Bureau Federation and Southern Farm Bureau Life Insurance Company.